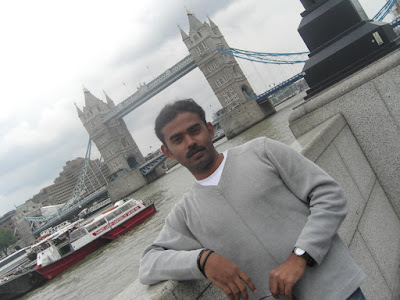 Another interesting and important place I visited was “The Royal Observatory, Greenwich,London”.The Observatory is home to the Greenwich Mean Time (GMT) and the Prime Meridian, and is one of the most important historic scientific sites in the world. The Greenwich Meridian (Prime Meridian or Longitude 0° 0' 0" degrees) marks the starting point of every time zone in the World. GMT is Greenwich Mean Time is the mean (average) time that the earth takes to rotate from noon-to-noon. GMT sets current time or official time around the World. The Zero longitude – Prime Meridian lines are represented by Stainless steel strips in the observatory courtyard. 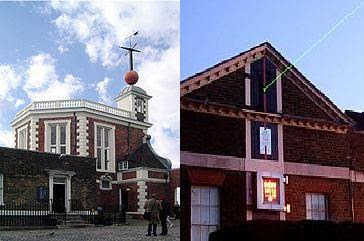 In the night time, a strong laser beam is projected from the observatory to mark the Meridian lines. The lines divide the East and West part of the globe and defines longitude for every country/region. 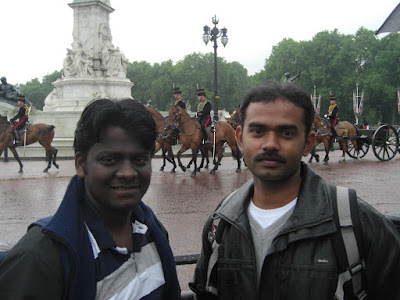 See my fingers pointing at the longitude of Bombay - 72° 50' EAST engraved on the Meridian lines. The Royal Observatory and Museum are fantastic and the surrounding park is lovely. You can have a bit of a science lesson if you like and learn about Greeenwich Mean Time and the history of timekeeping…. Definitely an important and great journey in my history. After the Trafalgar square, I moved to Tower Bridge station. Now the weather’s little better; Rain slowed down and the Sun started to shine. 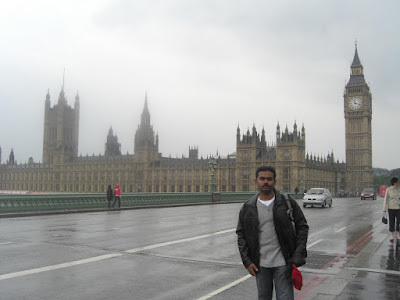 From my school days, whenever I saw any picture of London, it always had either Tower Bridge or the Big Ben. As a kid, I always dreamt of visiting those places in the picture. Seeing them real in-front of my eyes… it’s a wonderful feeling. This bridge spans the Thames. 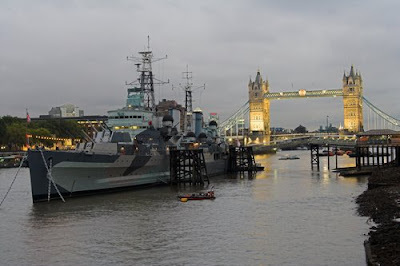 The walkways between the Towers afford excellent views of the surrounding city and the 20th Century’s unique cruiser - HMS Belfast Floating on the Thames waters. There are also numerous interactive displays and such about how the bridge works, in addition to displays on the history behind its construction, maintenance, and ceremonial use. .. in the museums on both towers. It becomes a special moment when the bridge is lifted from center when the tall boats/ships pass under the bridge. The road traffic on bridge is stopped for the time being!!!!!!!!!! I had the fortune to view that wonderful scene and captured the video too. 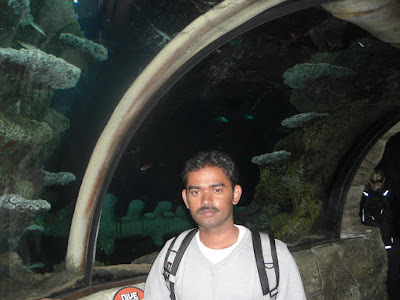 A real pleasant and life time good experience!!!!!! 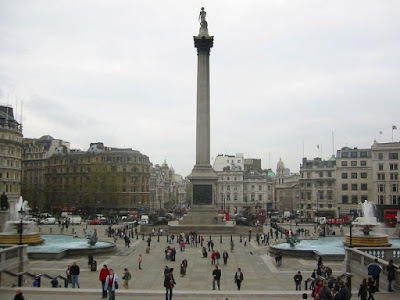 A 145-foot-high monument, bearing a statue of Lord Nelson guarded by Lions on the four sides, marks the spot considered as the center of London. 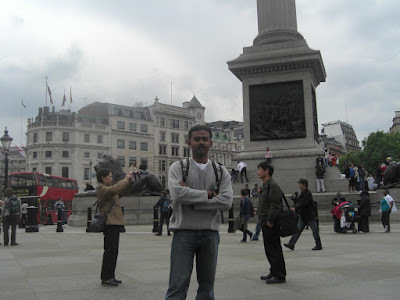 Infact, I was not at all interested to visit Trafalgar Square, but went just because I was on one of those “Hop on and Hop Off” tours and decided to take a stop there. What a fantastic square! It was busy and lively with the lovely weather. Kids were playing, there were tourists and the space was jammed. It is great to sit down for a while and people watch. 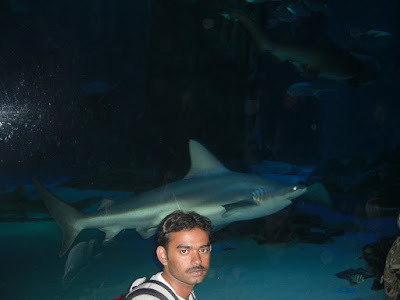 I'm not usually a big fan of Aquariums, but I loved my visit at the Sea Life Aquarium, situated near the London Eye.The SEA LIFE London Aquarium is home to one of Europe's largest collections of global marine life. It has a beautiful,calm atmosphere and is organized and presented excellently.The mysterious experience starts in the depths of the Atlantic Ocean. Along the journey, a stunning Glass tunnel walkway offers us an unforgettable experience by walking underneath a real Ocean. Other stars of the show include green Jelly Fihses,Turtles, Seahorses, Octopus, Zebra Sharks and the ever popular Clown fish. I like places with nice architecture and rich history, so Westminster Hall was one of my "must sees" when I visited London. The business of England Parliament takes place in these Westminster Halls. 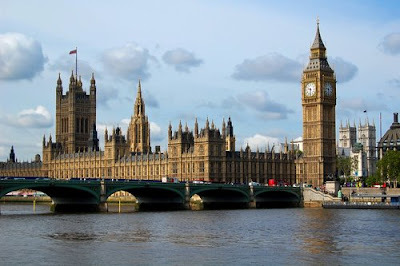 Westminster Hall is a striking building, standing on the banks of the river Thames.The great Bell of the clock at the north-eastern end of the Palace of Westminster is called as “BigBen”. Every single corner, even the smallest detail of the Westminster Hall has a history to say! Every single tomb, every single statue, every picture, every item! The feelings you get when you are actually there... It's like you get a taste of history. 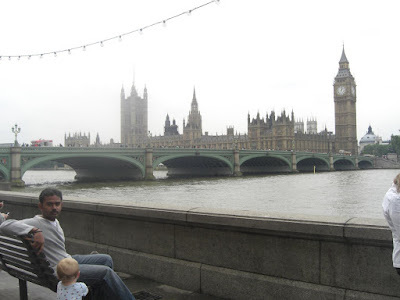 It's not easy to describe how beautiful, When you watch the building while sitting on the banks of Thames. Definitely one of the greatest places I have been to. The palace is very beautiful and there is a lot of history behind the Palace. Unfortunately,I couldn't take a tour inside of Buckingham Palace, but I had the luck to watch the changing of the guards. 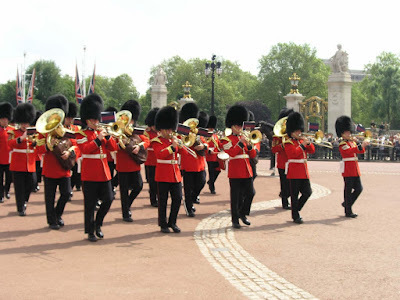 The ceremony of Changing the Guard at Buckingham Palace is a focal point for the many thousands of tourists who visit London. 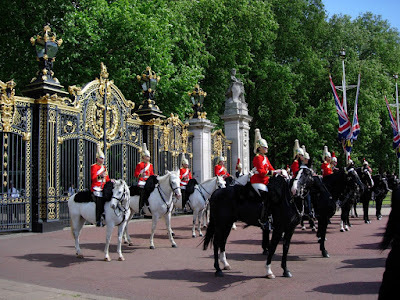 Change of guard is a custom of renewing the guard at the end of its duty, ‘the Old Guard’. It is relieved by a refreshed detachment referred to as the ‘New Guard’. It’s no way lesser than an army parade. 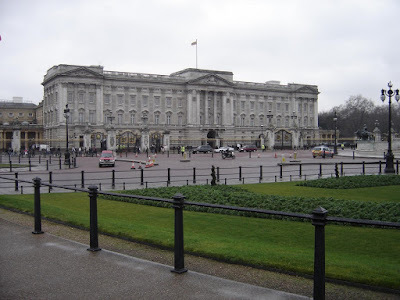 The outside of Buckingham Palace is stunning to look at. Acres of Huge lawn, Beautiful Flower Gardens, small Ponds, Birds, Channels,.... all inside the Palace fence!! !.